When it comes to selling or buying a property in Cambridge, our branch in Regent Street should be your first port of call. Our team of experienced and dedicated sales experts are on hand to support you through your next move. If you are selling we can help you get the best price for your home, while if you are buying we will ensure you find the perfect place to live. We can also help with mortgages or selling at auction and our team is committed to delivering excellent customer service and will strive to do all they can to help. With a huge amount of experience, our team of sales experts are among the most trusted professionals in Cambridge’s booming property market. Selling a property and moving up the ladder or using the funds to achieve your next objective is a tempting prospect, particularly with prices in Cambridge having risen substantially in recent years. If you are ready to put your property on the market, speaking to our team of experts is a wise first step. We can market your home effectively, negotiate offers on your behalf and manage a smooth sale. So get started today by contacting our Cambridge team. 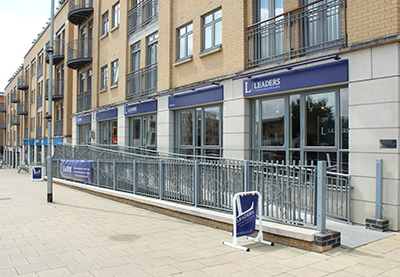 If you are looking to let your property out or need to find a place to rent in Cambridge then we have a dedicated Lettings branch a couple of miles down the road from our Regent Street branch, on Hills Road. The team here are one of the most experienced and successful that you will find in Cambridge. Click here to visit our Lettings page for full details. 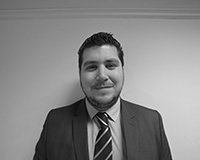 With more than five years of experience in the property industry to his name, Jamie is one of Cambridge’s most trusted and successful sales experts.